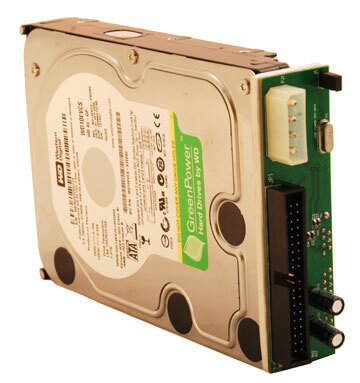 Looking to use a SATA drive in your IDE TiVo? We've tried tons of adapters, and this is the one we certify for using your SATA drive. No configuration necessary. To switch from Master to Slave, just remove the jumper. Works with all Series2 TiVos except the Philips HDR-series (Series1), SVR2000, TCD130040 and TCD140060. Due to the throughput of SATA drives, we recommend our custom TiVo IDE cable for use with this adapter. 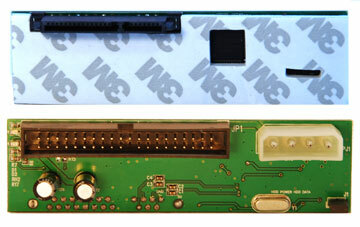 These adapters also work in most PCs that have IDE motherboard connections. Looking for more than ten? Quantity discounts are available. Contact us.